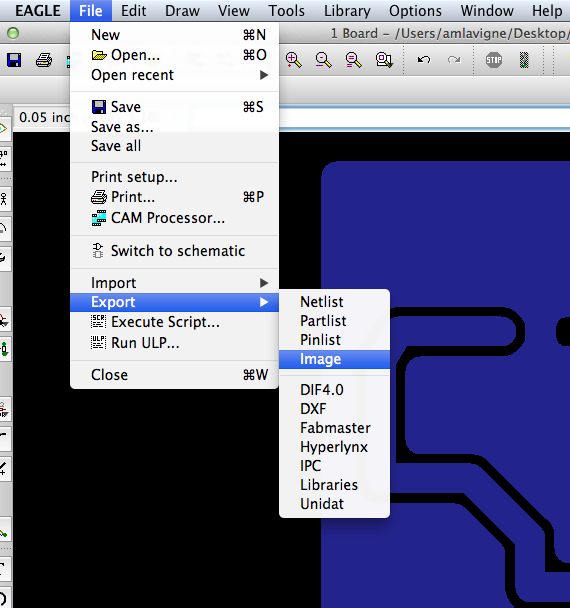 In this tutorial, you will learn how to use an image of your board design to mill your circuit traces and cut the outline of your board. * This tutorial might seem a bit long and tedious, but persevere. Once you know how to use an image to mill your circuits, it works like a charm with any type of circuits! *This tutorial assumes you have experience with circuit design and Eagle. Links to Eagle tutorials are listed. - EagleCAD. Free version accessible here. 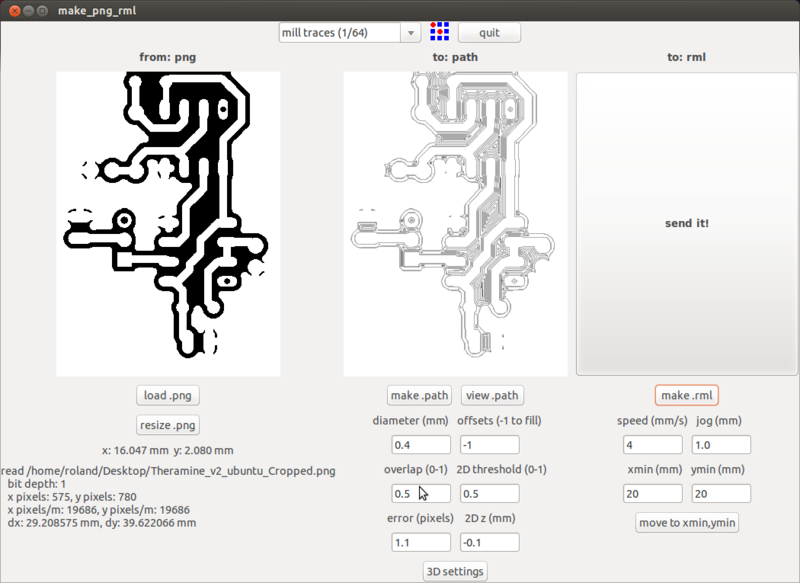 - GIMP (open source image manipulation software). Download available here. 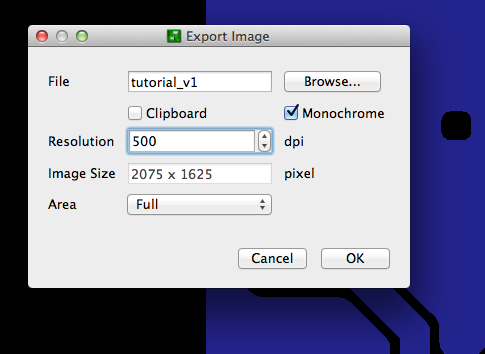 Now that your design is ready, you have to export an image of your circuit. The Fab Modules will use the image of your routes to create the paths for the Roland milling machine. Depending on how you designed you board, export the top or the bottom layer, or both separately in two different .png files. - Go to view, and select top or bottom. The circuit traces should appear white. Once you process this image in the Fab modules, the Roland will etch out the black and will KEEP THE WHITE. So Before you continue, make sure your traces are white. If they are black, they will be etched away by the Roland. Now we will very and modify the image in GIMP, a convenient free software equivalent to Photoshop if you do not have it. - one for the board outline, so the Roland can cut out your board. 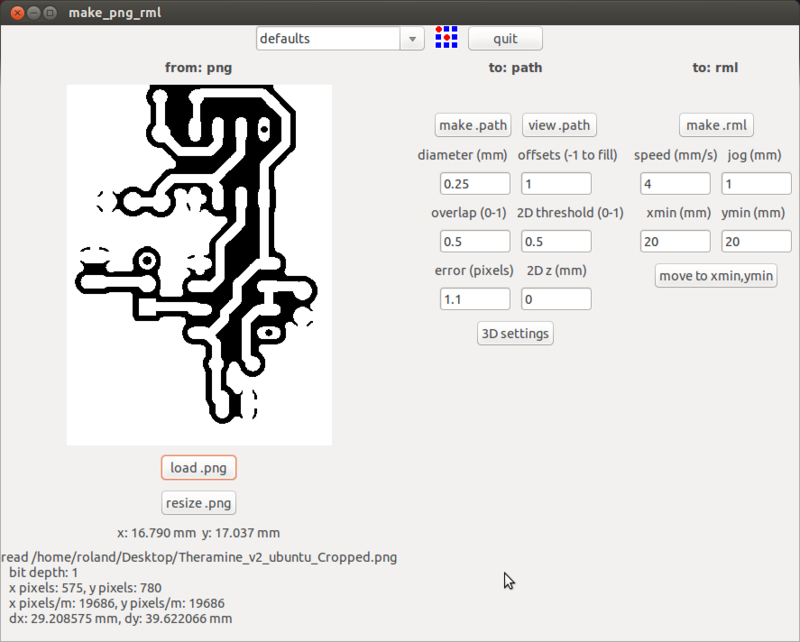 1) create an image for the traces. 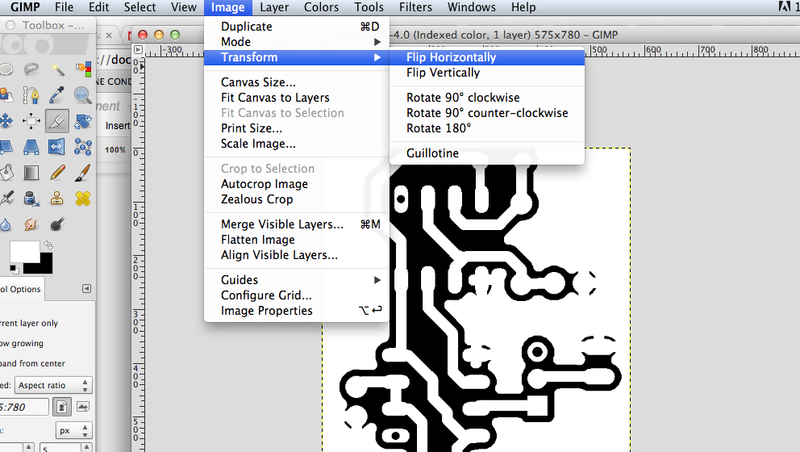 - If your board is a through hole or bottom, you need to flip your image horizontally to mirror your design. 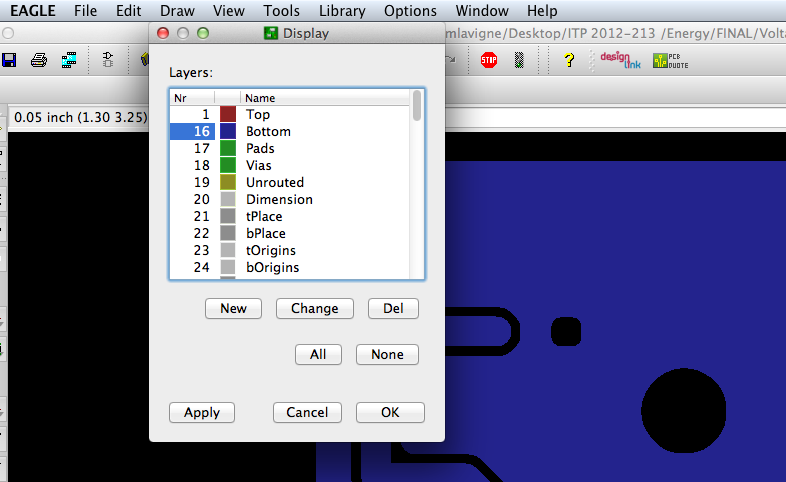 Image→ fit canvas to layers. - You can crop your image, add white text or logos if you want your final board to be decorated/identified with something. - Export as a .png. 2) Now you have to create another image for the board dimension so the Roland can cut out the outline of your board after milling your traces. 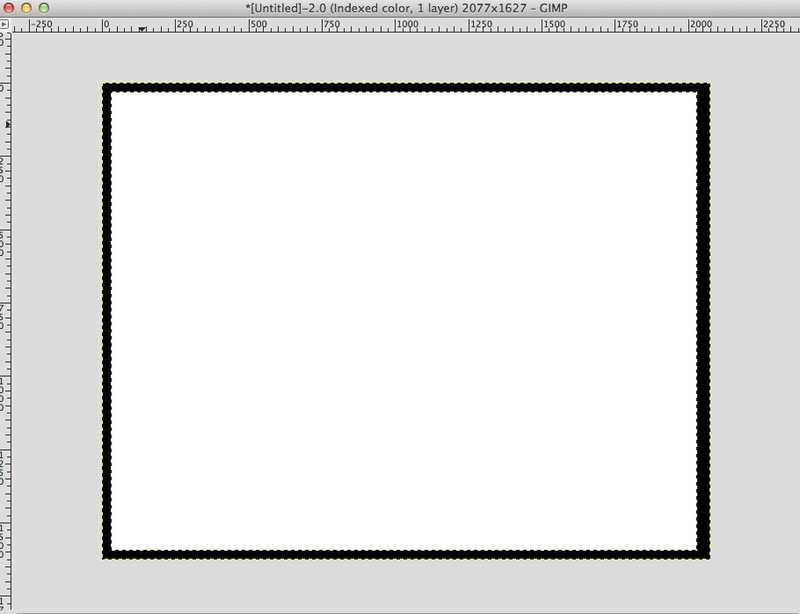 You need to create another image made of a black line for the outside of your board. - Export as a png. → save your .PNGs on a usb drive or save them on a cloud service. You are ready to use the Fab Modules. The Roland Modela, does not speak normal gcode. It has its own language which is .RML . MIT has develop an application made of several python dependencies. 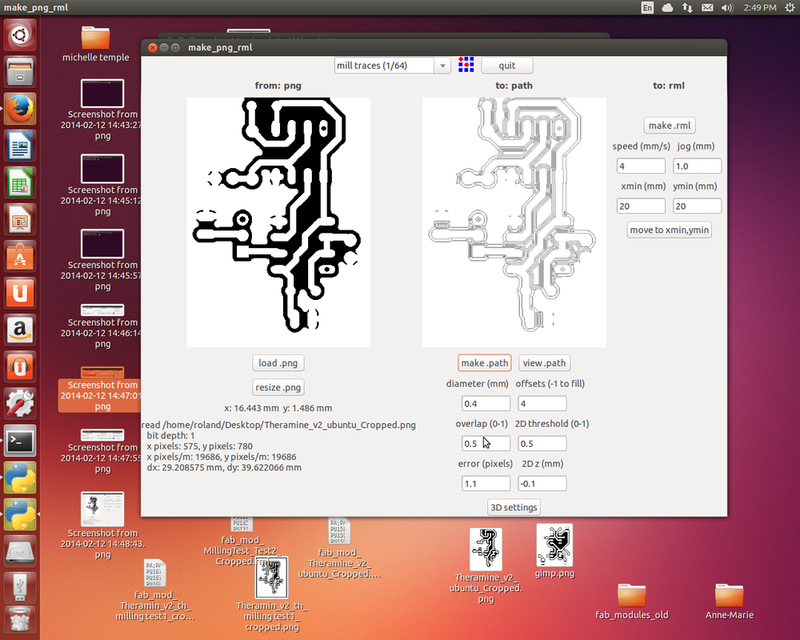 The application uses the image of you circuit to generate a .rml file for the Roland. Here is how it works. - Save your files on the Roland computer. 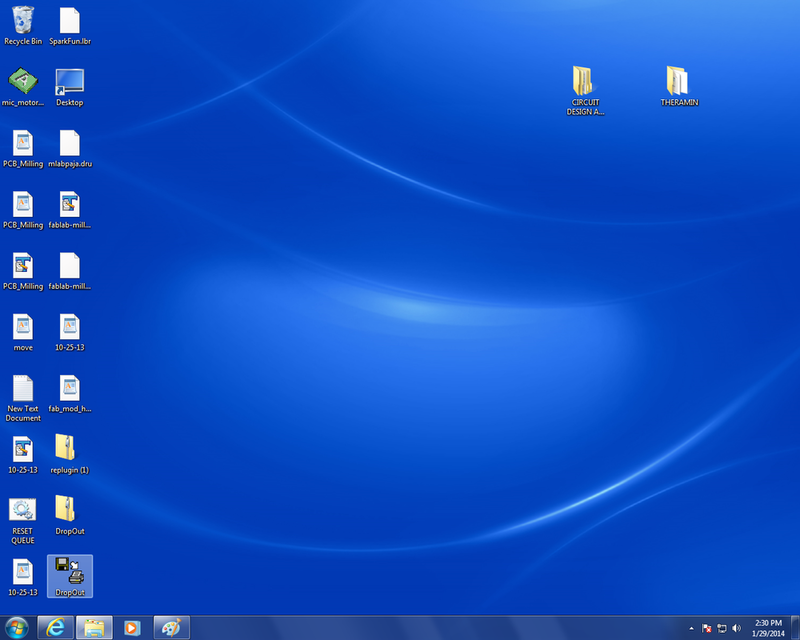 You can create a file under your name on the desktop. 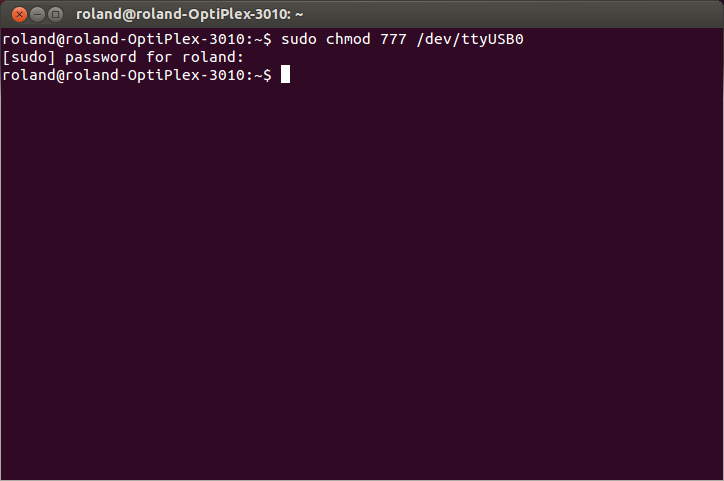 - Search for Terminal in the Search engine. Top icon on the left of the screen. - Load your traces .png file. We use 1/64 end bit to mill the traces. - click on “make path”. The path generated will appear. - If you want to have a closer look at your path, click on “view .path”. 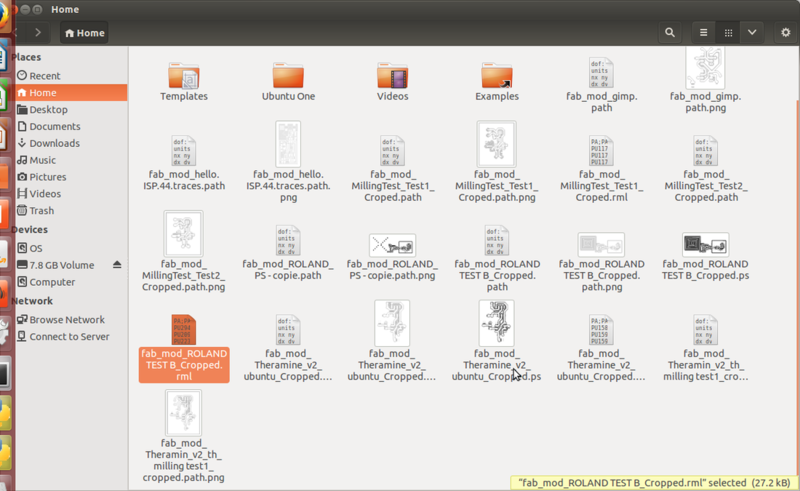 It will open the Okular dependency and you will be able to see the path in details. When you look at the details of the path, you can see that the traces are created by 4 tiny lines. These lines are defined in the OFFSET setting. When the OFFSET is set to 4, it means that the Roland will mill 4 times the same lines, going each time further and creating an offset from your traces. - If you would want the Roland to mill out all the copper in between your parts, change the OFFSET settings to -1. You will see that your path has now more lines. The Roland will mill out more copper. Make tests and see what makes more sense for your circuit. Offsetting can take a long time depending on the design of your circuit. 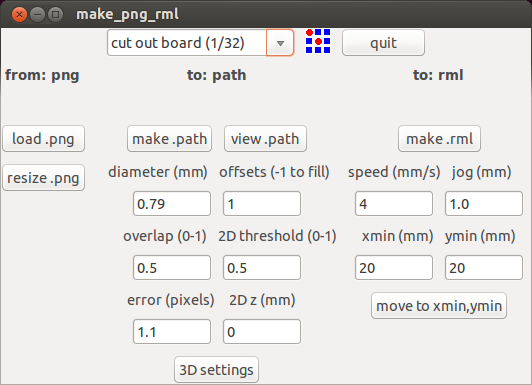 click on “make .rml”, at the top right. A big button “SEND IT” will appear once the .rml file has been generated. So, now you have generated a path for your circuit traces. - Repeat the same sequence using your board contour .png. We use a 1/32 end bit to cut out the board. Put your files on your USB key. - Close all the windows. - Turn off the computer. - Turn on the computer assigned to the Roland and chose to operate it with Windows7 (not Ubuntu). 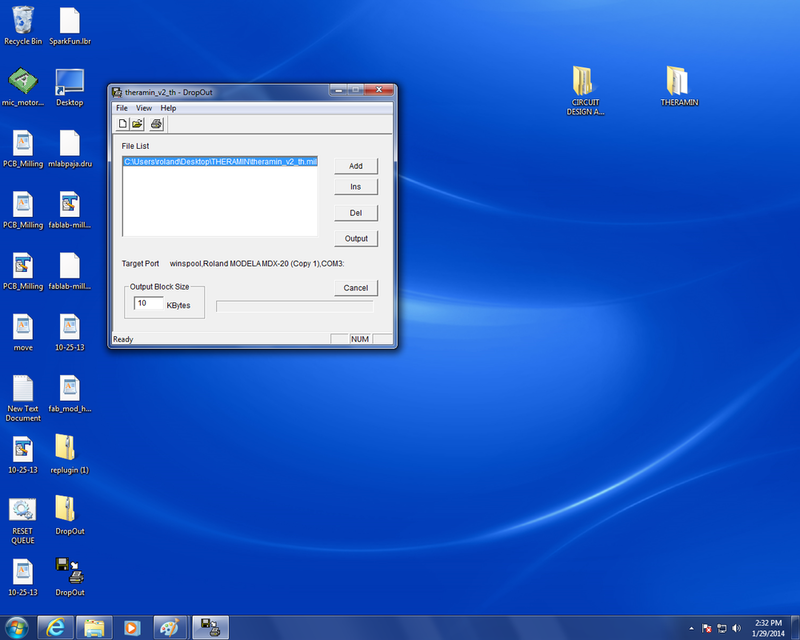 - Save your files in a folder under your name on the desktop. We use an application called DropOut to send the files to the Roland. The icon is on the bottom left of the screen. 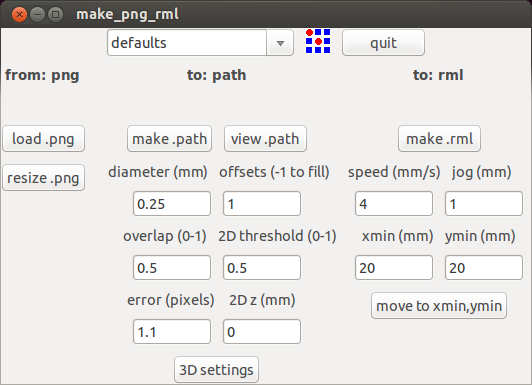 Select the first file for your traces (.rml) and press “Output”. The Roland should start milling.